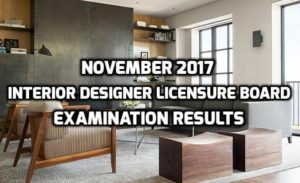 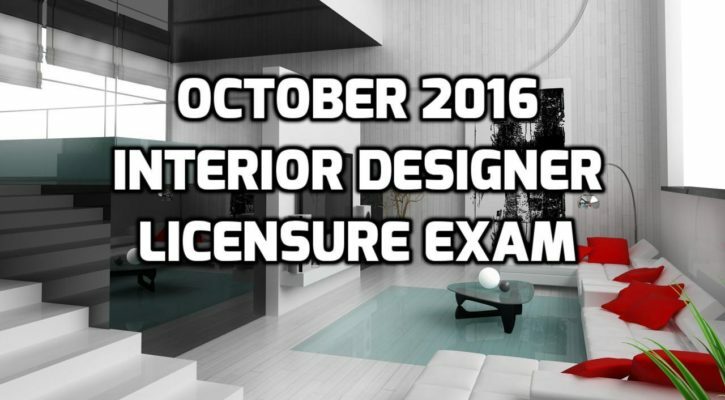 The PRC (Professional Regulation Commission) announced that out of 419 examinees who took the October 2016 Interior Designer Licensure Examination, 213 have passed. 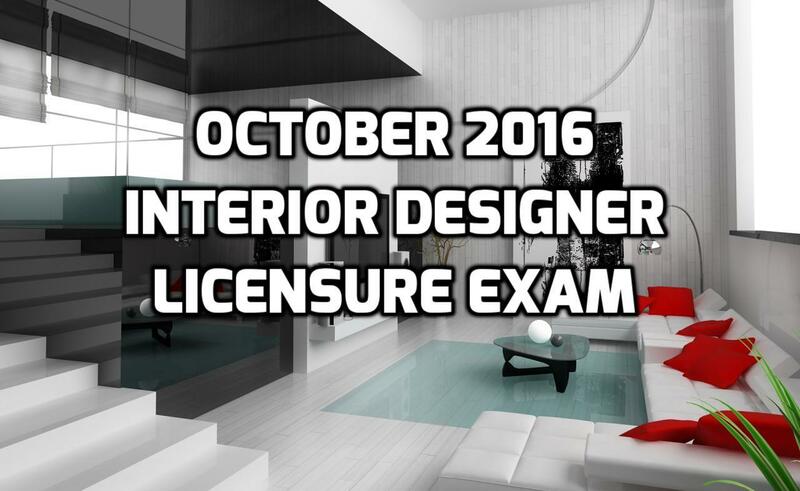 The licensure examination was given by the Board of Interior Design in Manila on October 2016. 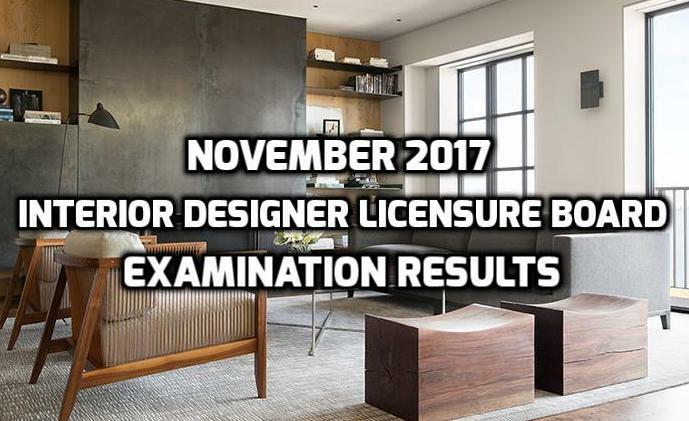 The results of the examination were released in eight working days. 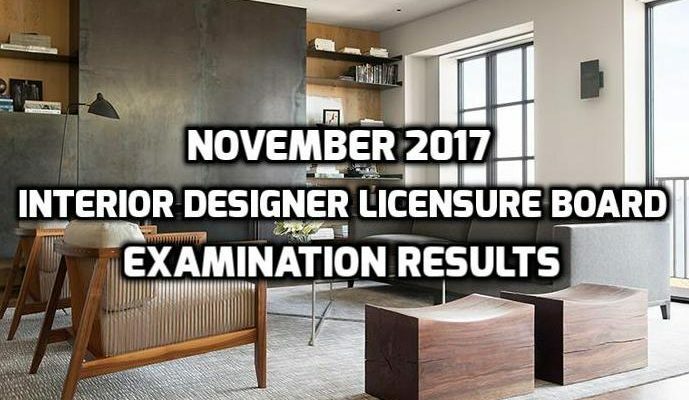 The members if the Board of Interior Design who conducted the examination are Sonia Santiago-Olivares, Chairman; Kathryn Milagrosa B. Abaño and Maria Carlota D. Hilvano, Members.